‘Tear Trough Training Courses’ are here…. Have you tried to reduce the impact of a tear trough on your client without actually treating the tear trough? Have you found that all of the others things such as muscle contraction around the eyes (crows feet) and overall volume loss (nasojugal folds) makes your client’s tear troughs look worse? You are right if you have addressed cheek volume where the client suffers with volume loss, and Botulinum Toxin A (Botox or Azzalure), where the area has dynamic lines, but sometimes these things just aren’t enough. When this is the case, only a tear trough treatment will do in combination with other treatments. 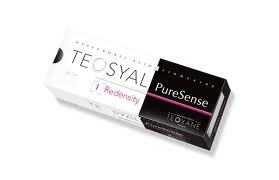 Teosyal Redensity II is the only dermal filler on the market licenced to treat tear troughs that give the impression of dark under eye circles, and hollowness beneath the eyes. We are the only training company in Wales who are able to train you to use these products for the suppliers to allow you to purchase them.